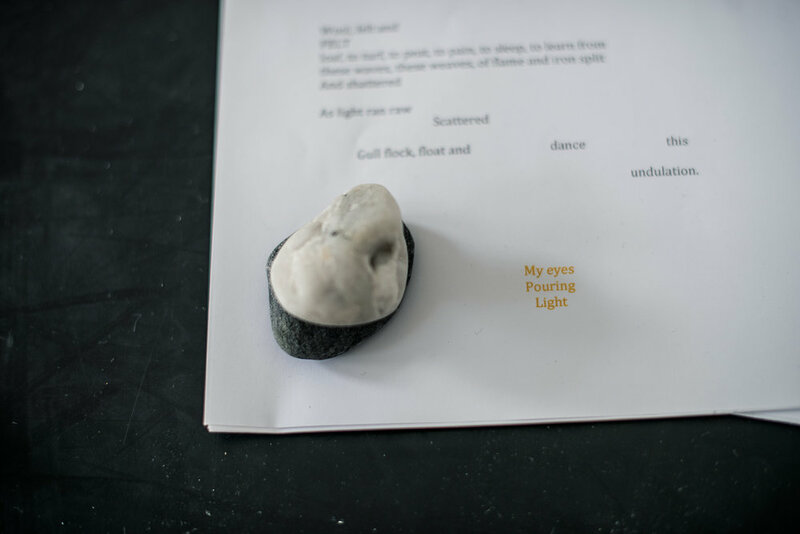 Luke’s practice has recurrently explored how dance and choreographic thinking meets with other worlds and realities - across interweaving strands as a maker, curator and dramaturg - often bringing together seemingly unrelated constellations of bodies and thought. In his work as a dramaturg for dance and choreography he collaborates with independent artists and organisations to support the creation of distinct projects, navigate processes of change and explore the emergence and evolution of practice. Artists he has worked with include AnnieVickySarah, Claire Cunningham, Jess Curtis, Caroline Bowditch, Mirjam Gurtner, Janice Parker and Robert Softley-Gale for Birds of Paradise Theatre . In 2018 he is Guest Dramaturg as part of South East Dance’s Dramaturg in Residence Programme. Committed to artist and art-form development his curatorial and participatory projects create spaces for artists and experts from different fields and realities to gather to explore relationships between words and movement, the poetic and choreographic, periphery and community. Arriving at new perspectives, articulations and understandings of what it is to be in the world through interdisciplinary collaboration. Projects have included the Artist Support weekender with PAL Labs, Claire Hicks and Roanne Dods, The Talking Place for Fevered Sleep as part of Men & Girls Dance, What Next with Frank Bock for Independent Dance, A (Supper) Room Full of Words with Kat Bridge for Greenwich Dance and the In Dialogue series for Candoco Dance Company with whom he was formerly Head of Learning and Research. Luke has taught and lectured for undergraduate and postgraduate students, artists and professionals worldwide - including D.O.C.H, Trinity Laban, The Place, R.A.D - and has been an advisor to a range of choreographers, companies and institutions - including Nigel Charnock, Shobana Jeyasingh Dance Company, Noemi Lakmaier, Catherine Long, Jardin D’Europe with Southbank Centre, Kate Marsh with Metal, Athina Vahla and Wellcome Trust Arts Awards - most often choosing to work with outliers practicing at the intersections of dance, performance, live art, disability, queerness, quiet activism and social change. He was Chair of the board for Chisenhale Dance Space from 2012-2016 and a nominator for the Paul Hamlyn Breakthrough Awards 2018.